The ancient Chinese authors of the Su Wen and the Ling Shu left a road map for the practice of Chinese medicine. Part of the map is the foundation diagnostic model of Chinese medicine: Yin-Yang. This model is used to identify imbalances within the internal organs and channel systems, and the nature of pathogenic factors. Yin-Yang is essential in making a diagnosis, but it can lead to a misunderstanding in the practice of acupuncture. Qi is often named by its location and function. Yuan Qi originates in the kidneys, gu qi in the stomach-spleen, and zong qi in the chest/lungs. Ying qi and wei qi are derived from zong qi. Wei qi flows to the superficial layers and ying qi flows in the acupuncture channels. In this model, qi is not defined as yin qi or yang qi. In the acupuncture channels there is no yin qi or yang qi, there is only qi. When there is a diagnosis of kidney yang qi deficiency there is no individual acupuncture point or set of acupuncture points that can definitively be defined as more yang than yin or more yin than yang. The Yin-Yang model is used to identify an imbalance. A kidney yin deficiency can appear as redness in parts of the body and kidney yang deficiency can appear as paleness. Acupuncture is a way to influence qi within the body to regain balance. The ability of qi to restore the underlying condition, and therefore balance either a yin or yang imbalance is the essence of the effectiveness of acupuncture. Embryonic stem cells have great healing potential because they are the building blocks of the human body. They are unspecialized and can develop into specific cells; they offer the possibility to treat any organ, gland or area of the human body. Qi is similar. "At the basis of all is Qi: all the other vital substances are but manifestations of Qi." Qigong (chi kung), t'ai chi chuan (taijiquan) and qigong healing practitioners influence qi by circulating, gathering and directing it to specific areas of the body. There is no definitive difference in the quality of the qi. If a person is qi deficient, qi is the solution. And it is the solution for each organ, gland and area of the body. The channels are the medium to distribute qi, and qi will restore the organ to balance. The balance will show with the Yin-Yang models that include visual inspection, questioning, pulse and tongue. Yin-Yang is a tool for analysis; it is not the substance to treat imbalances. Qi is the substance for healing. 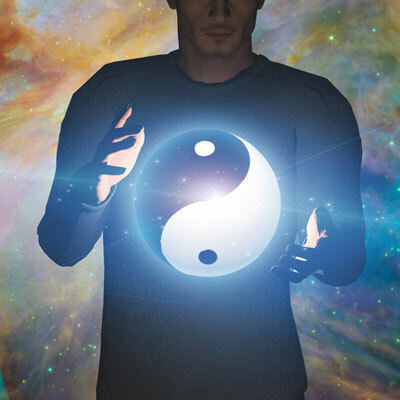 The practitioner influences qi and the Yin-Yang condition is influenced. In a previous article, "Needle Sequencing," I presented that the way acupuncture works is movement in the channels. The practitioner can reinforce to guide qi to an area or organ to restore it to a healthy condition. The practitioner can also reduce to remove or eliminate pathogenic factors from the body. The ability to stimulate the channel is the key to clinical effectiveness. How many points it takes to effectively stimulate movement in the channel varies based on the skill of the practitioner and the condition of the patient. This understanding along with knowing we influence qi is the key to creating point combinations that stimulate the channel to create the desired clinical result. It is often taught kidney 3, Great Ravine treats kidney yin and kidney 7, Returning Current treats kidney yang—this is a misleading view. If one looks at any major acupuncture text it will say one point can treat many conditions, for example, kidney 3 can treat kidney yin deficiency, kidney yang deficiency, kidney qi deficiency and kidney essence. How can it do all that? Are all those qualities inside the area of kidney 3? Is there earth inside kidney 3 because it is an earth point, and is there metal inside kidney 7 because it is a metal point? Yin-Yang is a model that shows the condition of an organ system (and areas of the body). The key is there is only qi and when qi is directed to an organ or area to reinforce, the qi energizes and restores it to a balanced state (unless the deficiency is severe and there are levels of restoration) that can be identified by standard diagnostic tools of Chinese medicine. Qi has a quality that can restore an organ system into a balanced state, which could be either a Yin or Yang imbalance. This reality is reflected in the statement: "All the various type of Qi are one Qi, merely manifesting in different forms." The nature of qi in the channels allows it to benefit any area of the body; this is the unique quality of qi and acupuncture (and qi healing practices) that is very different than herbal medicine. Understanding each point does not have a yin or yang quality but is part of an acupuncture channel is step one in understanding the nature of qi and how to influence it in clinical practice. Step two is knowing the goal is not to stimulate one point to obtain the desired objective but it is usually necessary to stimulate multiple points to stimulate the channel to influence the targeted organ or area. Looking beneath the models laid on top of the channels reveals there is only qi and it has the capacity to influence any organ or area of the body, and this change will be reflected in Yin-Yang models of diagnosis. The treatment strategy is to stimulate qi to create a reaction, either reinforcing or reducing, through the channel system and body to obtain the desired effect. An organ can be the desired location, the channel is the transportation system and the acupuncture points (or areas along the channels, whether they are formal acupuncture points or not) are the locations of stimulation of qi. Destination, channels, acupuncture points and qi are one inseparable system. It is the ability of the practitioner to stimulate this system that significantly contributes to clinical effectiveness. Guided by understanding that there is no yin qi or yang qi but only qi in the practice of acupuncture, the practitioner expands the possibilities for developing acupuncture treatment strategies and plans. Note: This article first appeared in Acupuncture Today and subsequently in the Spring 2019 issue of Qi Journal. Printed with permission. Resource: Maciocia G. The Foundations of Chinese Medicine. London: Churchill Livingstone, 1989.